Please join us from 6:30 to 11:00 p.m. for a Star-lit MASQUERADE ball! The GALA is elegant dress, hors d'oeuvres, silent auction, local crafted drinks and dancing! 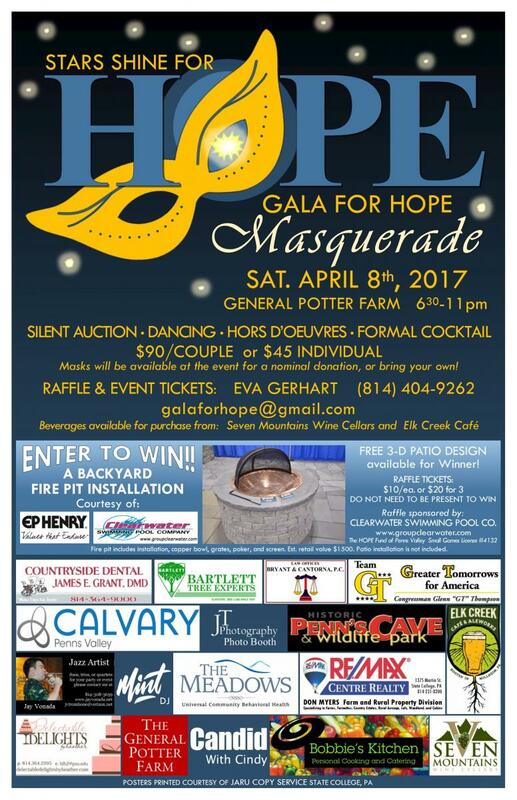 More information is available on facebook at Gala for HOPE 2017.